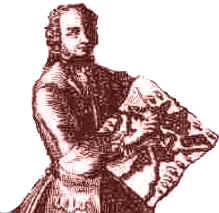 Engelbert Kaempfer (1651-1716) played a key role in introducing the soybean and soyfoods to the Western world. His book Amoenitatum Exoticarum, published in Germany in 1712, contained the first written description by a Westerner of the soybean plant and seeds (accompanied by the first Western illustration of these), plus the most detailed descriptions to date of the process for making miso and shoyu (Japanese-style soy sauce). Actually between 1597 and 1705 six Europeans had written of soyfoods (miso, tofu, and soy sauce; see Chapter 4, Dissemination to Europe), however none of these men knew how these soyfoods were produced, nor did they realize that they were made from soybeans. With the publication of Kaempfer's influential and popular book in 1712 the Western world understood, for the first time, the connection between soybeans and soyfoods (Hymowitz 1970, 1981a). Early Life. Kaempfer was born on 16 September 1651 at Lemgo, Germany, a small medieval town in the area of Westphalia, belonging to the Count of Lippe. His father was vicar of the Nicolai Cathedral at Lemgo (Kaempfer 1727; Bening 1951). Acquiring a very liberal education and preparing himself for the profession of Physick (physician), Kaempfer quickly showed himself to be naturally brilliant and inquisitive, with a remarkable capacity for learning foreign languages. Over the years as he studied and traveled, he became an extremely proficient, self-educated scientist, with a deep knowledge of medicine, botany, natural history, and pharmacology, and of the ways of the countries he visited. He received his PhD in Poland, then traveled from there to Prussia, and then to Sweden. In 1683, at age 32, he managed to be engaged as secretary to the Royal Swedish Ambassador Extraordinary on a special mission to Persia, where he stayed until 1685. Choosing not to return home to Germany, at that time plagued by wars and witch hunts, he spent 3 more years alone traveling in Persia and studying the country and its people. He then took a ship to Batavia (today's Jakarta, Indonesia), arriving in September 1689. Here, while studying and drawing the plants of the country, he befriended the Director General of the Dutch East India Company, who owned a large botanical garden. In Japan. In May 1690 Kaempfer left Batavia for Japan in the capacity of medical officer or physician to the Embassy, which the Dutch East India Company sent once a year to the Japanese Emperor's court. After stopping briefly in Siam, he arrived in Japan on 23 September 1690 at the island of Deshima (or Dejima) near Nagasaki in remote southwest Japan. On this tiny (only 120 by 500 feet) artificial island in Nagasaki harbor, connected to the mainland by a narrow peninsula except at high tide, the Dutch East India Company had maintained a trading station and colony since 1641, the only European station allowed in Japan for 200 years. Here the Dutch were kept almost like prisoners, sealed off from the rest of the country because of past problems caused by Europeans in spreading Christianity. a discreet young man, by whose means I was richly supplied with whatever notice I wanted, concerning the affairs of Japan. He was about 24 years of age, well vers'd in the Chinese and Japanese languages, and very desirous of improving himself. Upon my arrival he was appointed to wait on me as my servant, and at the same time to be instructed by me in Physick (medicine) and surgery. The chief Japanese officer of the island allowed the young man to continue as Kaempfer's servant during the latter's entire two-year stay in Japan and to accompany him (and the Dutch Director of Commerce) on two trips, in 1691 and 1692, to the Shogun's distant capital Edo (today's Tokyo). The mandatory annual trips, which took one month each, kept the Japanese rulers informed of Europe and its civilization. Conversely, reports of some of the Dutch representatives constitute the chief source of knowledge in the West about Japan during its two peaceful centuries of isolation. Kaempfer's young helper quickly learned Dutch and Kaempfer learned Japanese. Kaempfer paid him a handsome salary and taught him everything he wanted to know; in return the young man brought Kaempfer every book he wanted and answered his many questions. It was an animated and highly fruitful exchange, and Kaempfer took voluminous notes from his talks and travels. In November 1692, after a stay of a little more than two years, Kaempfer left Japan, stopping briefly in Batavia, then arriving in Amsterdam in October 1693. In April 1694 he took his degree of Doctor of Physick (MD) at the University of Leyden, then returned to Lemgo, Germany (11 years after he had left); there he hoped to write books based on his travels. 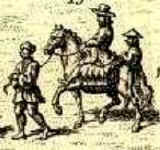 Yet his reputation and experience would not allow him so private a pursuit, and soon the Count de Lippe, his sovereign Prince, appointed Kaempfer to be his personal physician. In 1700 he married and he had three children, all of whom died in their infancy.